Wuxi Aomeite uses the liquid silicone injection molding process to produce a full range of precision molded silicone components and silicone parts. We maintain superior manufacturing standards to produce tight tolerance and precision molded silicone products. At Wuxi Aomeite, we have an experienced team delivering silicone injection molding processes and all other rubber molding and extrusion processes. This gives us an unparalleled ability to help customers determine the best process for their specific application. 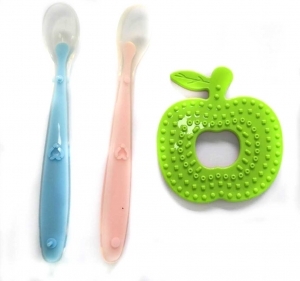 Why choose liquid silicone injection molding over other processes? Based on your product performance requirements in relation to certain properties such as elongation, durometer and thermal resistance, our team can assist in evaluating material properties for critical applications, especially for medical devices, in order to meet rigid and demanding performance specifications and budget requirements. 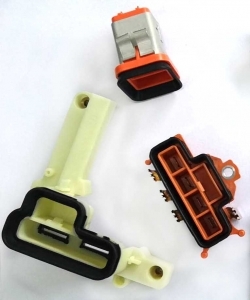 LIM, liquid silicone injection molding, allows Wuxi Aomeite to fabricate a broad range of precise and near flashless molded silicone parts and silicone over-molded assemblies at high volume and tight tolerances. The process involves delivering a two-part liquid silicone compound formula, parts A & B — a catalyst and a base, from material drums to static mixer at a constant 1:1 ratio which blends the two components into a homogenous suspension, which triggers the cure system. The blended liquid silicones is injected from injection unit through runner system & gates into mold cavities. The LSR mold remains closed under extreme pressure and high temperature at an established cycle time pressure to reach optimal cure. The molded LSR parts are removed from the mold and the process is ready to begin again. Compared to other rubber molding methods, LIM has higher startup and shutdown costs, which makes it better suited for high-volume production runs. In addition, the runner systems can lead to increased gross material weight unless countered with cold runner systems or other low-waste options. Wuxi is a top Global injection molding company that works exclusively with Liquid Silicone Rubber. Consult with one of our LSR project experts to learn more about the benefits of liquid silicone rubber for injection molding. Resistance to UV light, Ozone, bacteria, and harmful radiation. Clarity and superior light transmittance and illumination. Excellent tear and tensile strength. Ability to operate in temperatures ranging from -55°C to +300°C and maintain flexibility. Low compression set at extreme temperature ranges. Request a quote today for a liquid silicone injection molding company in China to deliver the parts you need, or contact us to further discuss your project.